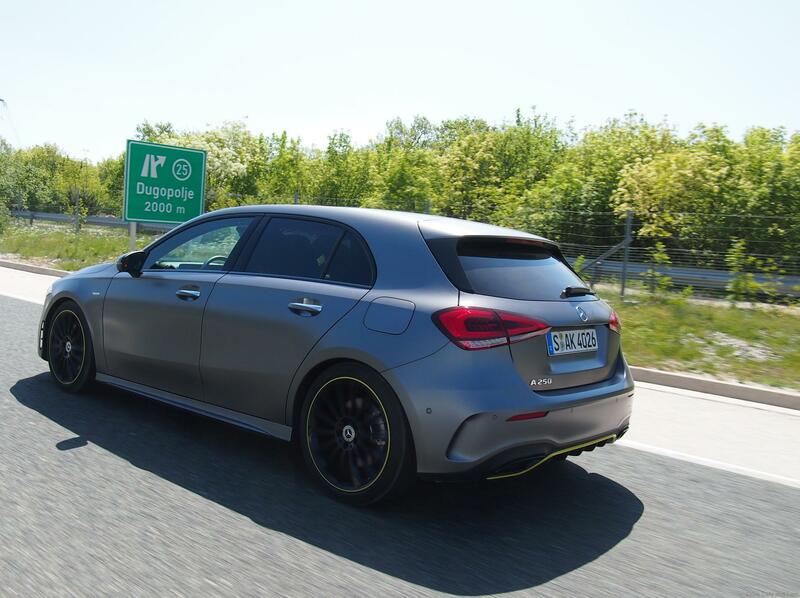 Mercedes A-Class Croatia test drive review, did it excite us? So why Croatia? Mercedes-Benz needed to have the global launch and test drive for their all new A-Class at a location that best showed its stylish new design against beautiful rustic landscape and to allow the invited media to experience their upgraded drive dynamics that makes this new A-Class a desired product for a new generation of car owners. Yes, Mercedes-Benz wants to attract more than just one demographic of buyers with this new A-Class. We have never been to Croatia and judging from online travel websites it has some of the best waterfront views and rugged untouched landscapes lined with snaking roads that would bring out the best or worst in a car. We were excited to find out. 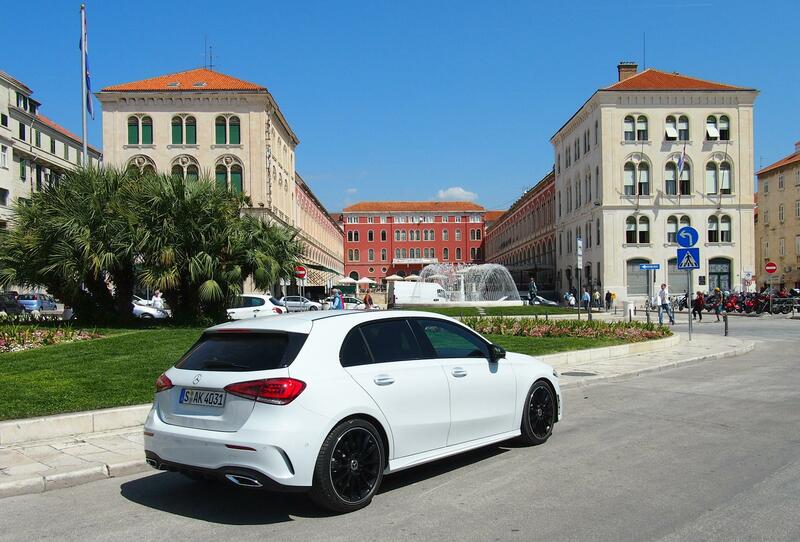 We arrived in sunny Croatia and the drama of viewing the new A-Class for the first time from the clear blue water fronting the official hotel was done perfectly. 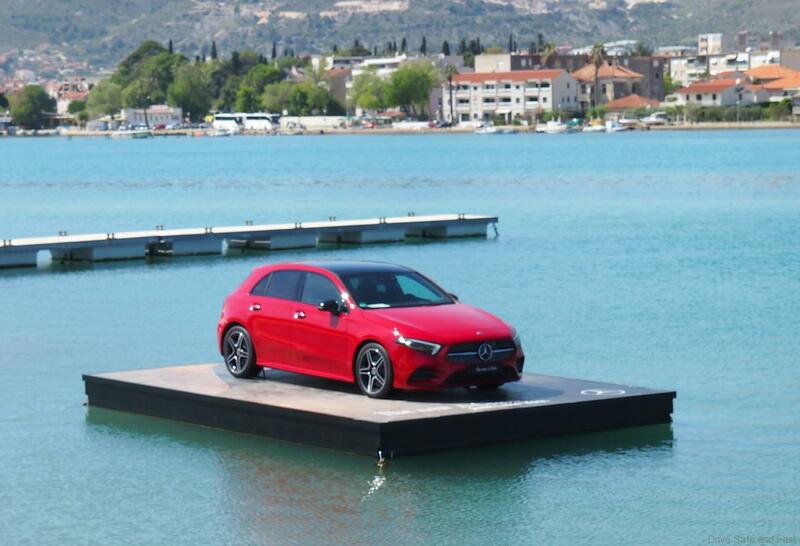 A red A-Class sitting quietly on a pontoon out on the water under the bright blue cloudless clear skies was a true Kodak moment. Pictures, pictures and more pictures and then the keys to to our test car. 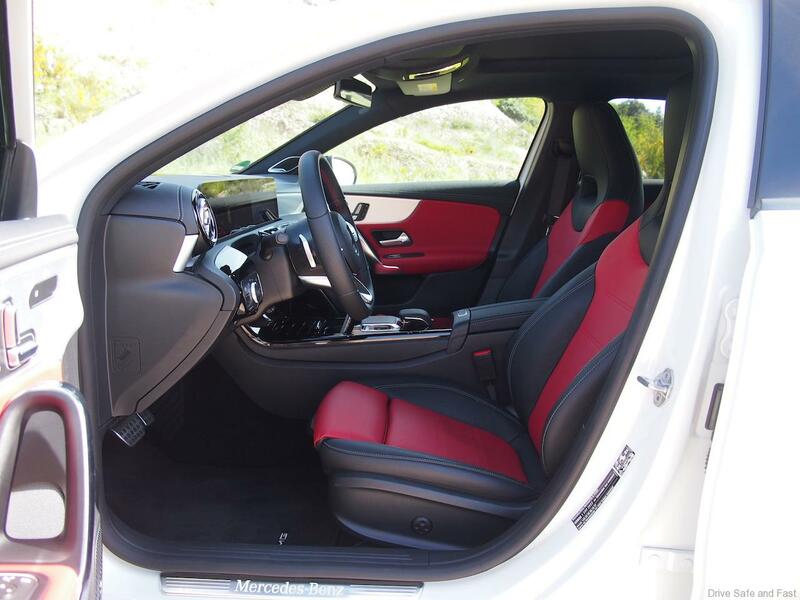 This new Mercedes-Benz A-Class maintains its youthful and dynamic looks like never before. 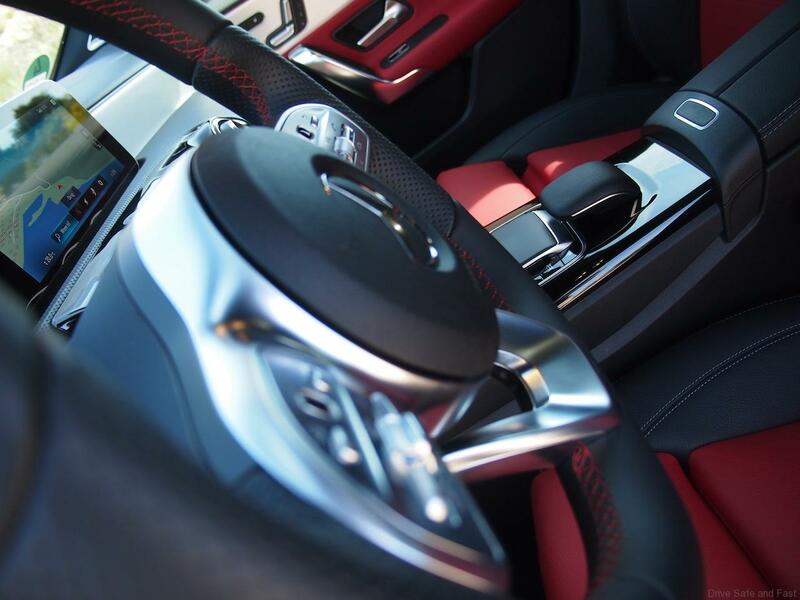 Its exterior delivers sportiness, dynamism and emotion. 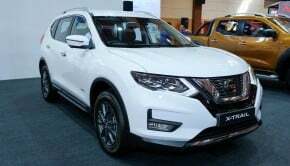 The progressive front design with a low bonnet, flat LED headlamps with chrome elements and torch-like daytime driving lamps ensures an emotionally appealing and alluring appearance. The striking radiator grille with Mercedes star, whose silhouette opens out towards the base as a reinterpretation of its predecessor, features pins in a diamond look and a central silver louvre to underline the sportiness of this model. The prominent air inlets in the lower area of the bumper echo the silhouette of the radiator grille. With a longer wheelbase, character lines along the side, a more pronounced sloping bonnet than in the preceding model emphasizing a more dynamic, upright front, this new A-Class sits more squarely on the road. 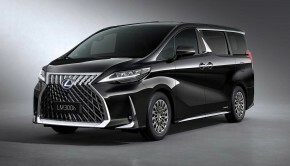 The vehicle has a wider look at the rear end thanks to a more heavily waisted greenhouse, which also emphasises the shoulders, and to the wider-spaced rear reflectors in the modular, two-section rear bumper. The spoiler in high-gloss black mounted on the side of the rear window improves the aerodynamics. 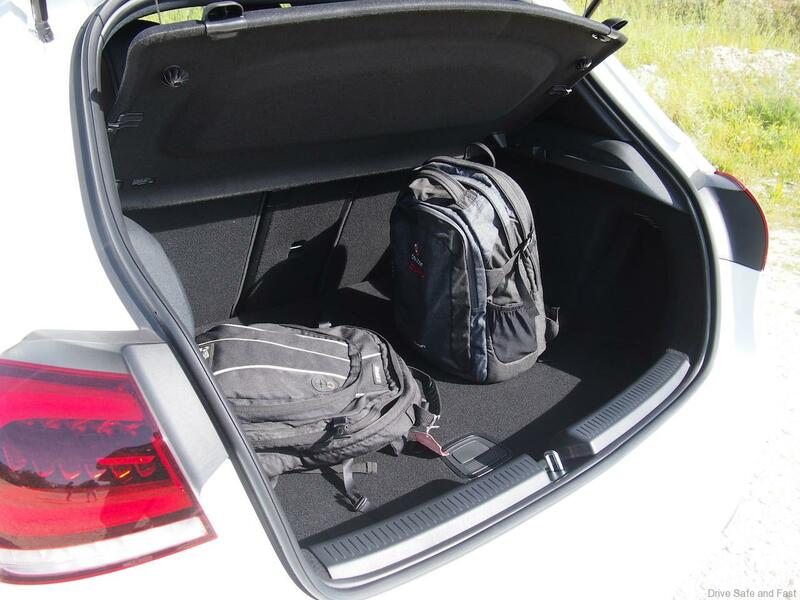 This hatchback sits a little lower, is a little wider and a little longer than the car it replaces. 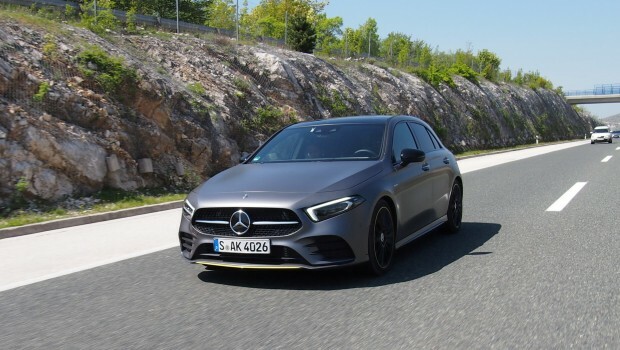 Thanks to MBUX – Mercedes-Benz User Experience which offers a number of functions that were previously available only for the high-end luxury class Benz cars, this new A-Class re-writes the compact hatch segment rule book. Now the rivals are forced to follow. 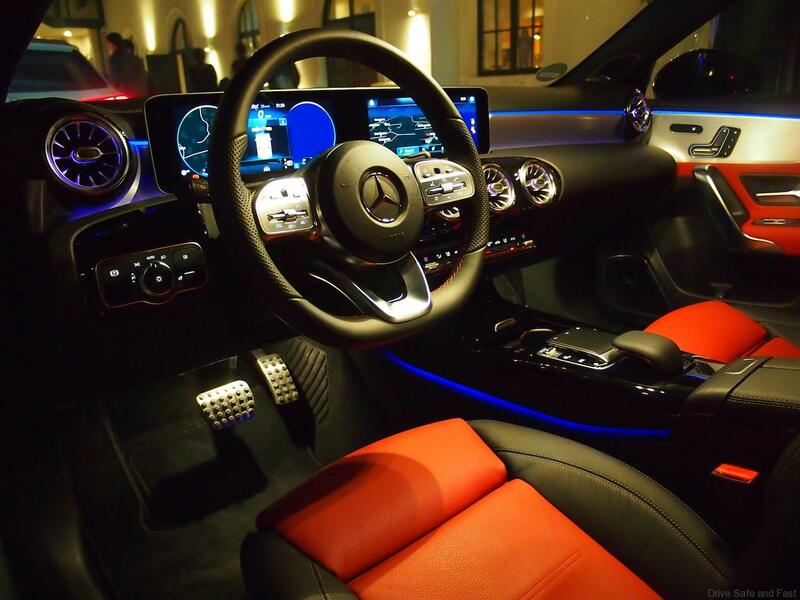 Mercedes-Benz has taken a completely new approach, revolutionizing the compact class from the inside with a new feeling of spaciousness. 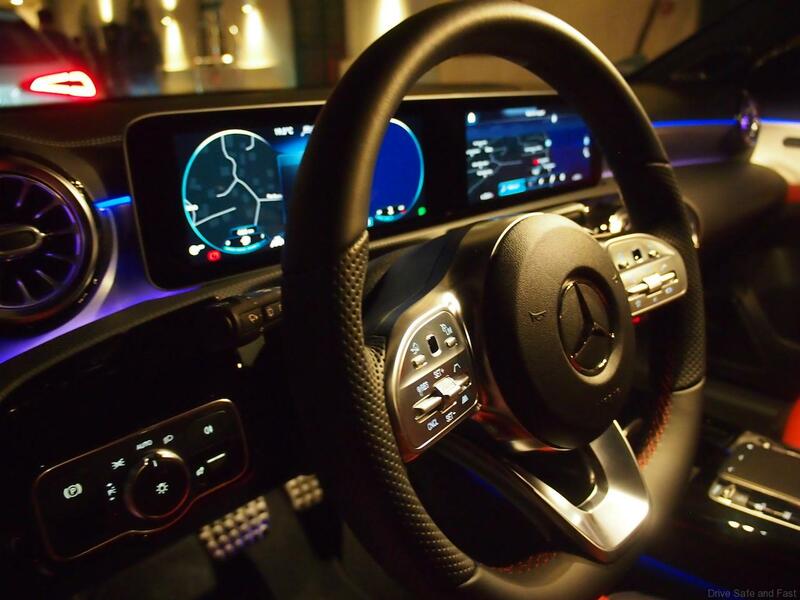 The unique interior architecture is shaped in particular by the avant-garde design of the dashboard: For the first time a cowl above the cockpit has been completely dispensed with. As a result, the wing-shaped main body of the dashboard extends from one front door to the other with no visual discontinuity. The widescreen display is completely free-standing. The air vents in a sporty turbine-look are another highlight. 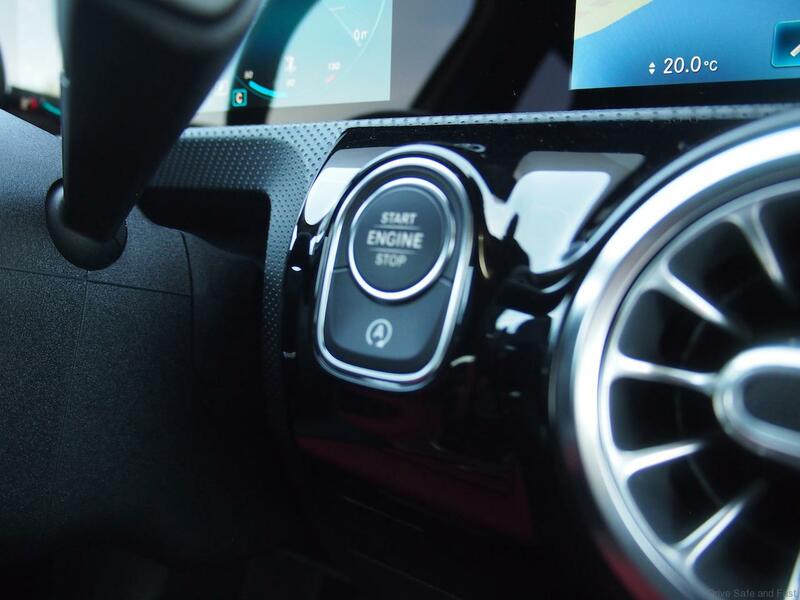 The interior architecture and the control & display systems of the new A-Class are an avant-garde USP in this segment. The dashboard is divided into two three-dimensional, horizontal sections: the lower section is visually separated from the main body of the dashboard by a “trench”, and it appears to float in front of the dashboard. The ambient lighting enhances this effect, accentuating the free-floating impression of the substructure. 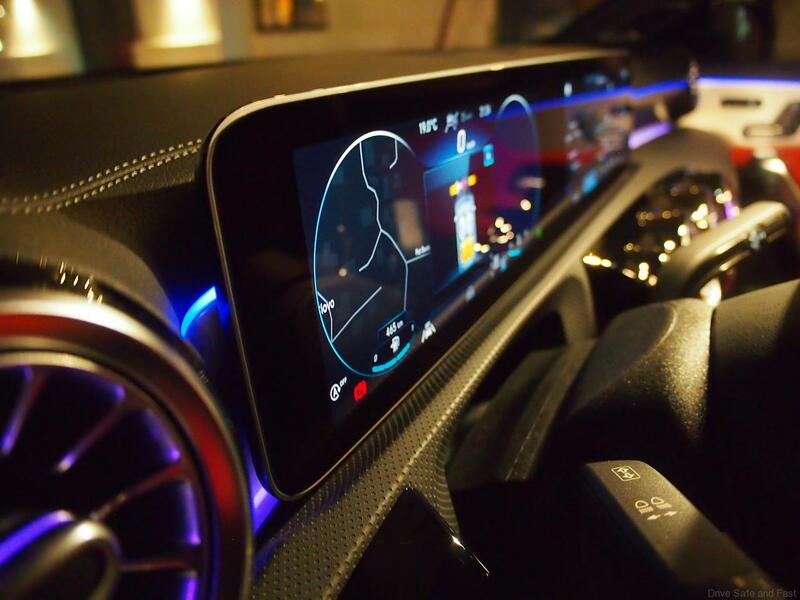 The lower section of the dashboard provides the basis for the turbine-look air vents and the completely free-standing display. 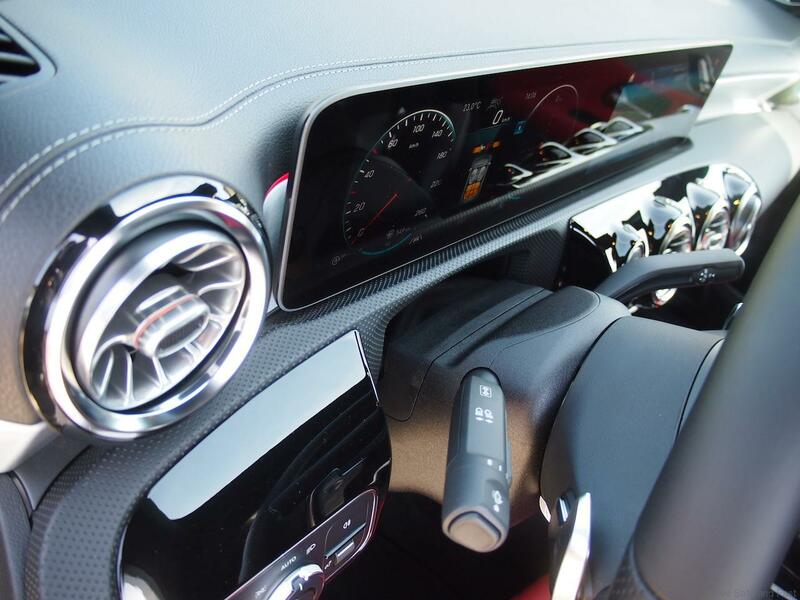 Thanks to the omission of a cockpit cowl, the main body of the dashboard with its trim extends from one door to the other behind the seemingly free-floating widescreen. 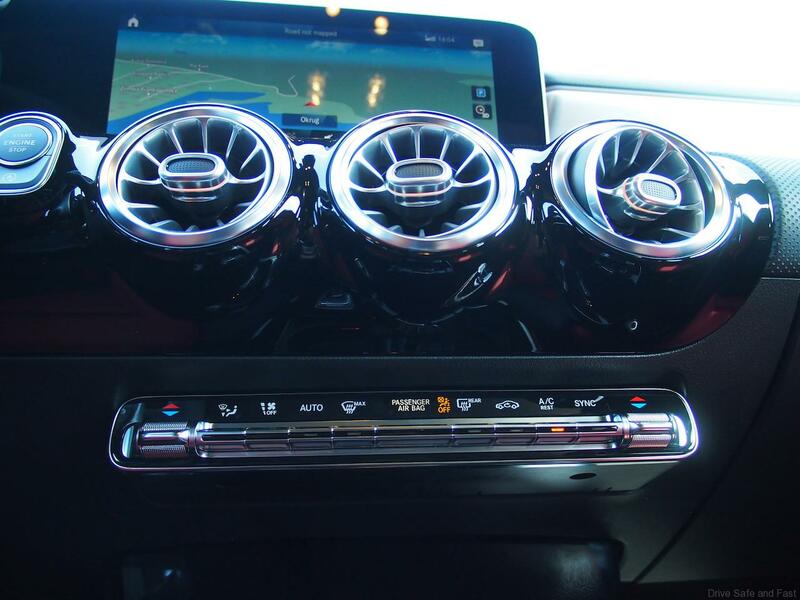 The five round air vents have a new turbine look inspired by the world of aviation. Finely designed air vanes in a concentric arrangement create the impression of a jet aircraft turbine. In the Style equipment line the vent surround is colour-accentuated at the depth of the vent geometry, giving the impression of an afterburner. 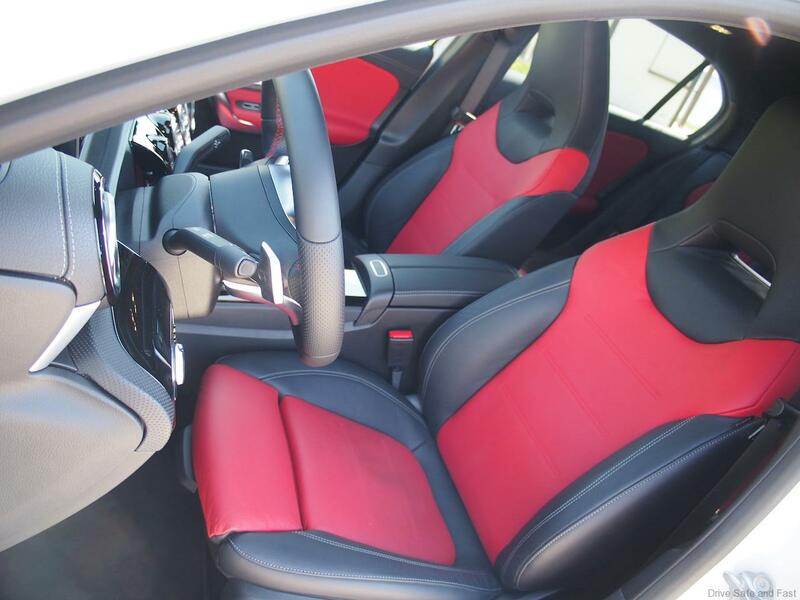 The air vents in the middle are driver-oriented, accentuating the sportiness of the interior. 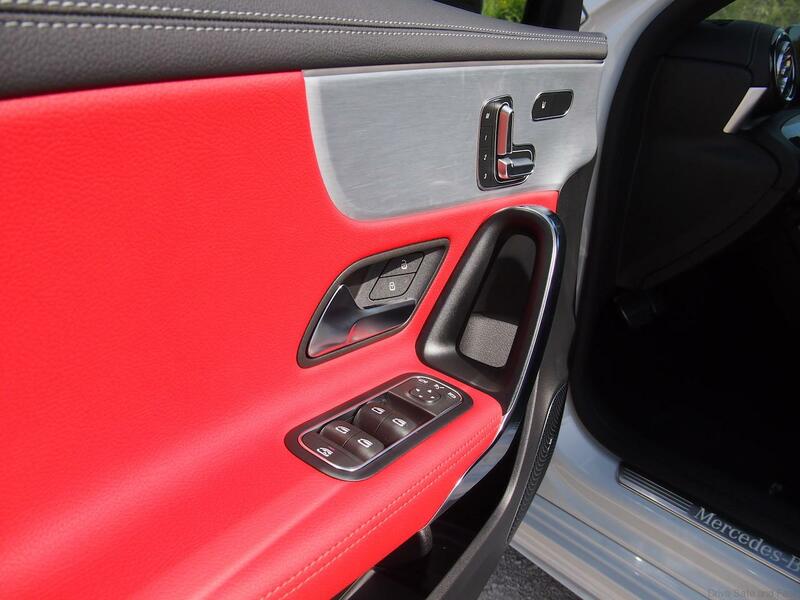 The door centre panel transitions seamlessly into the armrest, underlining the sensual, flowing design principle. 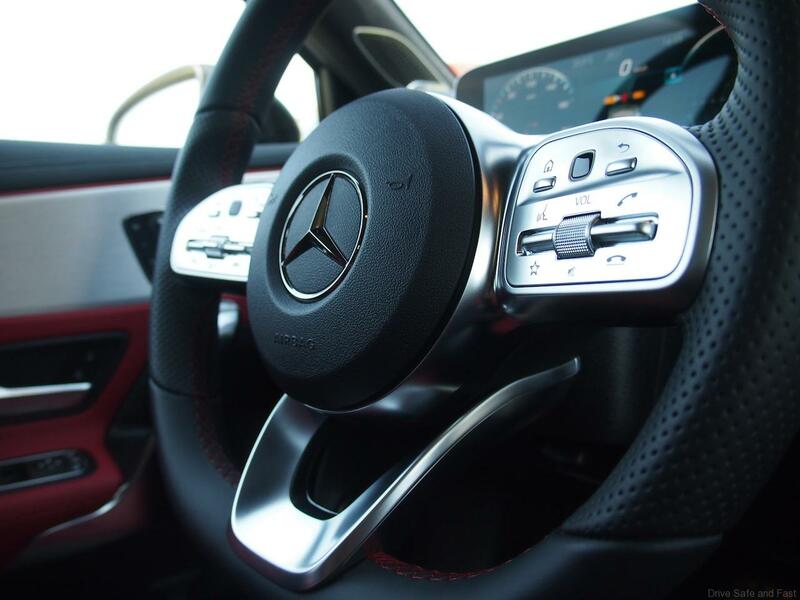 The newly designed 3-spoke steering wheel, door handles, centre console and seats follow a modern design idiom. The ring-shaped, completely closed grab/door-pull handle is of unusual design and particularly ergonomic. 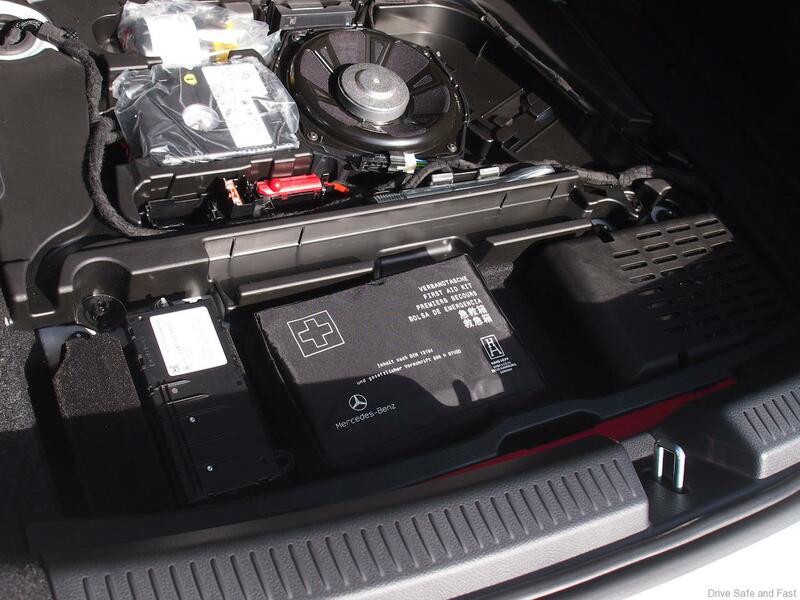 This new A-Class models are powered by new, efficient engines: Two new 4-cylinder petrol engines are available. Innovations in the M 282 with a displacement of 1.4 litres and up to 163 bhp include cylinder shutoff (in conjunction with the 7G-DCT transmission) and the delta shape of the cylinder head. The second new petrol engine is the M 260 with a displacement of 2.0 litres, 224 bhp and 350 Nm. New features include CAMTRONIC for the intake camshaft. Both petrol engine series have low-friction cylinder walls and a particulate filter as standard. A 200 (163hp, 250Nm; with 7G-DCT dual clutch transmission combined fuel consumption 5.1 l/100 km. A 250 with 7G-DCT dual clutch transmission (224hp, 350Nm; combined fuel consumption 6.0 l/100 km. The new entry-level engine in the A 200 is the M 282 with a displacement of 1.3-litres. Compared to the previous 1.6-litre engine, the output of this all-aluminium engine has increased by up to 11% and the output per litre by no less than 25%. This engine excels with very compact dimensions, low weight and high static and dynamic rigidity. The turbocharger features an electronically controlled wastegate: thanks to flexible charge pressure control, it is also possible to set an optimum charge pressure under partial-load conditions. This is the first 4-cylinder Mercedes-Benz engine to feature cylinder shutoff. In the partial load range between 1250 and 3800 rpm, and depending on the power requirement, the intake and exhaust valves of the second and third cylinder are closed by valve clearance adjustment. The remaining two cylinders therefore operate under higher loads, and more efficiently. To minimise friction, the cylinder walls are coated using the patented NANOSLIDE® process. The piston skirts are given an Eco-Tough coating, a special graphite coating for optimised friction and high wear resistance. Another special technical feature is the delta cylinder head, so called because of its shape. It is slightly higher when installed, but much narrower and lighter than conventional cylinder heads. Further advantages include the semi-integrated intake and exhaust manifolds, which allow compact construction. Daimler holds a patent for the compact arrangement of the high-pressure injection pump with a maximum of 250 bar. The multi-hole injection nozzles are centrally located in the combustion chamber, and injection occurs without the valves being subjected to the jet of fuel. This new, high-compression 4-cylinder engine has a particulate filter as standard. Particular effort was also devoted to noise emissions. The intake air duct features a Helmholtz resonator, the catalytic converter has insulating seals and the cover also has a noise-reducing role. The new engine will initially be available with the 7G-DCT dual clutch transmission, and later also with 4MATIC all-wheel drive. The new M 260 petrol engine, premiere of CONICSHAPE®. The M 260 four-cylinder engine of the A 250 is essentially a further development of the previous M 270, with an output increase of over 6% compared to its predecessor. Its engine block of diecast aluminium with cast iron cylinder liners conceals a world premiere in large-scale production: CONICSHAPE®, also known in-house as “trumpet-honing”. To further minimise piston friction and lower fuel consumption, the cylinder bore is widened at the lower end of the cylinder liners. The resulting, conical shape resembles the mouth of a trumpet. 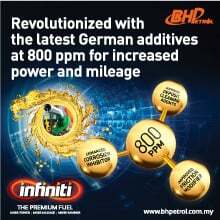 An innovative low-friction oil and optimised piston rings also reduce friction losses. To take account of the higher specific output, the pistons themselves feature cooling ducts. This also ensures more efficient combustion. The balance shafts for smooth engine-running are located in the lower section of the crankcase. Also new in the aluminium four-valve cylinder head of the two-litre engine is CAMTRONIC, a variable valve timing system that allows two-stage adjustment of the valve lift on the intake side of the valve assembly. In the partial-load range, this variable valve lift adjustment allows less air to be fed to the combustion chamber with a smaller valve lift, which leads to lower gas cycle losses. In higher load ranges the system switches to the higher valve lift to achieve the engine’s full power delivery. Multiple fuel injection ensures optimum combustion despite the smaller valve lift. This compensates the reduced turbulence of the fuel/air mixture in the combustion chamber in the area of the spark plug. The four-cylinder has direct injection with latest-generation piezo injection valves. The position of the injectors has been optimised to achieve low cylinder wall coverage and therefore lower untreated emissions, especially particulate emissions. A particulate filter is included as standard. Thanks to optimised injection with partial valve lift, the engine runs even more quietly in wide operating ranges. A low level of exhaust emissions has been achieved by further development of the well-proven BlueDIRECT combustion system in conjunction with the standard petrol particulate filter. The single-pipe turbocharger features an electronically controlled wastegate valve. The previously vacuum-operated actuator has been replaced by a precision electrical actuator, which reports its position and has a higher actuating speed, so that charge pressure control and diagnosis are significantly improved. This allows charging to be more precisely controlled. The oil circuit is supplied with engine oil on a demand basis. Sensors monitor the oil pressure so that the supply volume can be adjusted. The cooling circuit has an electronically controlled thermostat which allows the engine temperature to be optimally set to suit needs. To make engine operation more comfortable, a new centrifugal damper has been introduced into the powertrain as an addition to the balance shafts. This improves the engines NVH characteristics and allows comfortable driving possible at lower rpm. The exhaust system with flap control has the same purpose. In this new A-Class, Mercedes-Benz uses two different 7G-DCT dual clutch transmissions with a wet clutch: The previous transmission has been developed further for the more powerful engines (e.g. A 250). It has been improved in shift performance and reaction time by an optimised friction system and pistons with a lower hysteresis. To transfer the driver’s shift commands even more directly, communication between the engine and transmission has been revised. 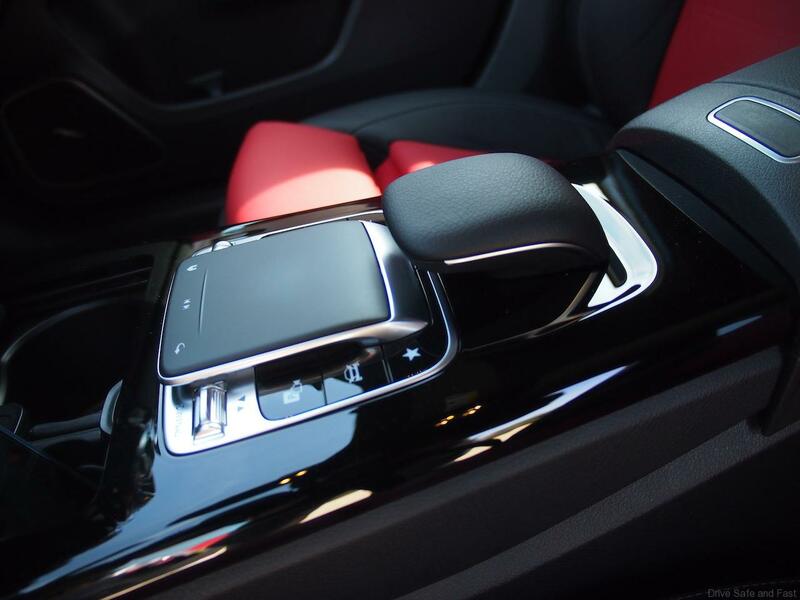 Control of the available drive programs ECO, Comfort, Sport and Individual has also been adapted. The A 200 and A 180 have a newly developed 7G-DCT dual clutch transmission. For a low dry weight of 67 kg, the actuators exhibit high mechanical and electrical efficiency. The gears are shifted electro-mechanically, the wet clutches are operated electrohydraulically. The software-controlled clutch allows different shift characteristics – from sporty to particularly comfortable – with the driver able to choose between ECO, Comfort, Sport and Individual. As further functions it allows extended coasting and ECO start/stop. This transmission was developed together with GETRAG, who is also the supplier. At first, I was slightly apprehensive of this new A-Class’s ability to entertain when hearing it carried a compact 1.3L engine, and yet after just a few kilometres of driving along the city coastline, we found that this new A-Class had a ride that could rival some of the larger German luxury models whilst still delivering hot hatch feedback. This hatchback swallow’s distances along highways easily, soaking up the rises and drops without breaking a sweat. 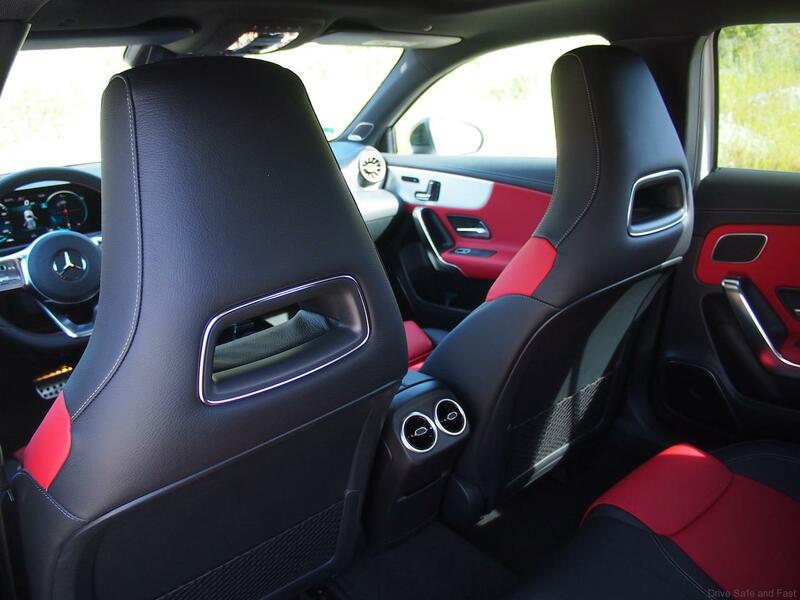 Present it with a set of twisty roads and this new A-Class will surprise the driver as it is incredibly competent, maintaining good composure and delivering smiles to the driver with intent to push even harder into corners. 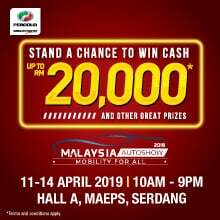 In the end, the most important piece of information to any new buyers reading this is the asking price set by Mercedes-Benz Malaysia. 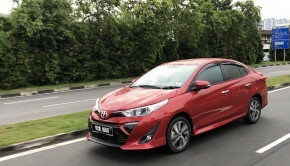 This long-awaited premium hatchback is priced as follows. 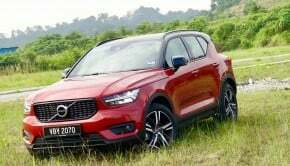 For the A200 Progressive Line it is RM227,888 and the A250 AMG Line is priced at RM263,888. Considering the improvements made to the car, both inside and out, the price is definitely justified and you can be sure to see plenty of customers from its rivals taking up ownership.